Botox vs Dysprt vs Xeomin. This is the third post in a series about the similarities and differences between the three FDA approved injectable neuromodulators currently available in the US market. For comparisons between the products, please check out Battle of the Neuromodulators, Part I, and Battle of the Neuromodulators, Part II. Throwing all of the FDA-approved players into the mix today, let’s look at the three neurotoxins available in the US today, and explore their similarities and differences. Medically, how do you find out how two things are different? You perform a clinical double blinded clinical trial and put them head to head. “Double blinded” means both that the doctor does not know what he injected, and the patient similarly does not know which treatment they got. The observations are done by third parties to maintain objectivity. This is a single medical study. It is limited in its power by geography by the number of people that you can sign up for the study, and cost, as these are expensive products. When you amass several studies that have been done all over the world, you have enough data for a “meta analysis”. This is a “study of studies”, and is much more powerful than a single study. Instead of having just 50 patients to analyze in one study (for example), you do a study 50 studies that were done of 50 patients each, giving you data from 2,500 patients. Three meta analyses about the three injectable neuromodulators currently available, Botox, Dysport, and Xeomin, have been done in recent years, and they are all well designed and systematic in their approach to review the question. Furthermore, they are very open to the limitations of each study they included in their meta analysis. Chemodenervation for the Treatment of Facial Dystonia: A Report by the American Academy of Ophthalmology. Ophthalmology. 2018 Apr 10. pii: S0161-6420(18)30687-0. Conclusion (in my words): All products equally efficacious (they all work). IncobotulinumtoxinA for Aesthetic Indications: A Systematic Review of Prospective Comparative Trials. Dermatol Surg. 2017 Jul;43(7):959-966. A Comparative Assessment of Three Formulations of Botulinum Toxin Type A for Facial Rhytides: A Systematic Review with Meta-Analyses. Plast Reconstr Surg. 2016 Apr;137(4):1125-40. Think about these meta analyses as people are trying to sell you on the difference between these products. While there are some differences between them about how they are formulated and how much protein they contain, I think we would all agree that the similarities far outweigh the differences. And for anyone that argues that these differences matter, all I say is: prove it. Because it hasn’t been proven as of today, and it isn’t from a lack of trying. If a single study were to prove it, it would be in the face of a lot of peer reviewed published data that shows the products are equivalent, so it would take a lot to sway my opinion today. For every time I hear “Dysport spreads more than Botox”, I think of the three studies above. Every time someone says “Xeomin doesn’t last as long as Botox”, you really have to wonder if this is true. A significant amount of money and energy has gone into asking just this, and none of it has proven that this is the case, and as we discussed in “Battle of the Neuromodulators, Part I”, there is some serious motivation by any one of these companies to come out as the “best” or to make it into a two-player market by showing one product as inferior. I will end with this: medical studies evaluate more than a single patient’s experience, and more than a single practitioner’s experience as well. There are some people that have a better experience or result with one product compared to another. While the scientist in me thinks that this is due to the injector rather than the product, I do leave open the possibility that not every product is equivalent in every person, and that is why we offer all three at Nuance Facial Plastics. 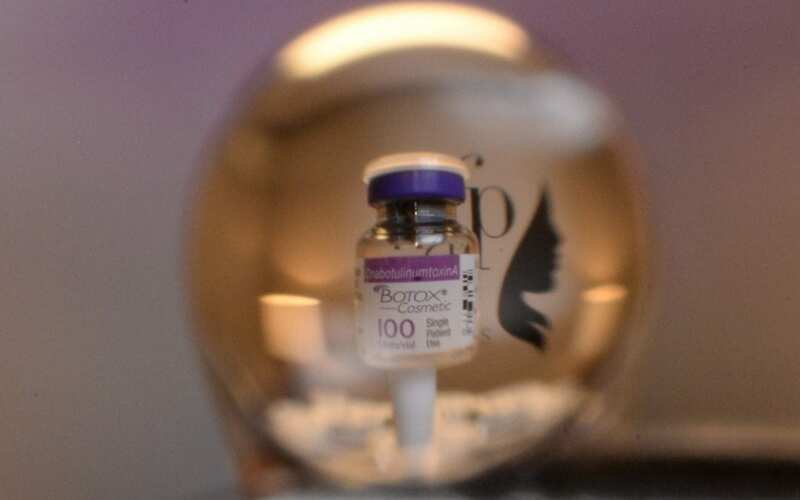 If you had a bad experience with Botox when it was on Groupon (and you blame the Botox rather than the injector), we have more options for you to try.